This file is a Patch for Milquetowst Info Center by DBurgdorf. You must have that installed before this Patch will work. 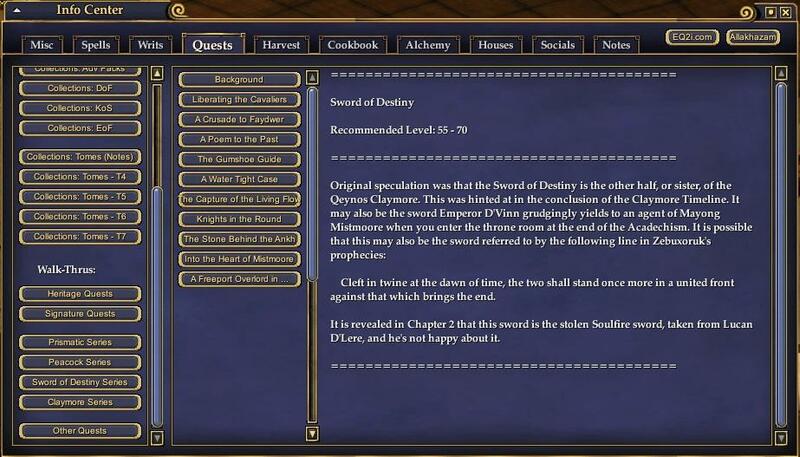 Adds quest information for Swords of Destiny to the quests section of the Info Center. This is an update to the Milquetowst Info Center. Extract just the the contents of the zip, including folders, to your custom UI folder. If updating from v20011105 to 20071109 first remove files sod12.txt to sod32.txt then follow normal installation instructions. • Removed extra text files.